How to watch The Great Wall (2016) on Netflix Singapore! 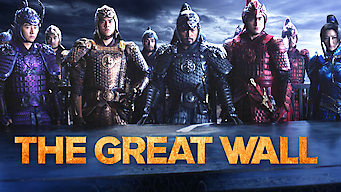 Yes, The Great Wall is now available on Singaporean Netflix. It arrived for online streaming on February 23, 2019. We'll keep checking Netflix Singapore for The Great Wall, and this page will be updated with any changes. Searching for gunpowder in Song dynasty China, European mercenaries discover an epic war being waged between the country's heroes and savage monsters. Ravenous monsters assail medieval China. European explorers try to stay off the menu. Will they join the great battle?